UFT 101: Why Does Our Teachers Union Matter? 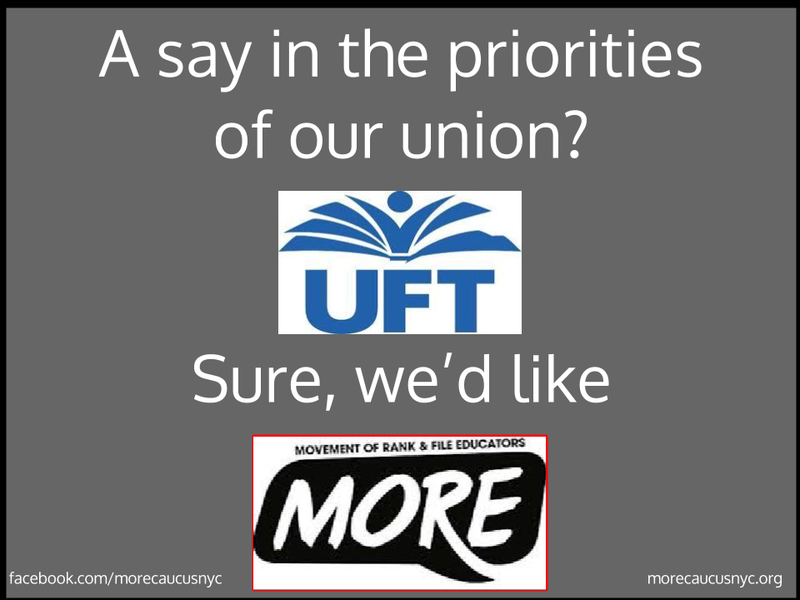 UFT 101: Why Does Our Teachers’ Union Matter? Are you entering the teaching profession or new to NYC schools? Are you wondering what the teacher union is all about and what it means to you and your students? Is it something you should be active in? Do educators, parents and students share common interests? Can unions be vehicles for social justice? Meet with new and veteran teachers to discuss these questions and more in this introduction to teacher unionism. This promises to be a fun, interactive meeting where you can meet educators that are just coming into the school system, some going into their second year, and experienced educators too! Save the date, our first general meeting of the new school year will be Saturday Sept. 13th in Manhattan. Check back here for more information on this and meetings/happy hours in neighborhoods across NYC.